Noteworthy, experts verified this relic. According to them, the decoration found on the corners of a Roman coffin, could date back to about 200 AD. 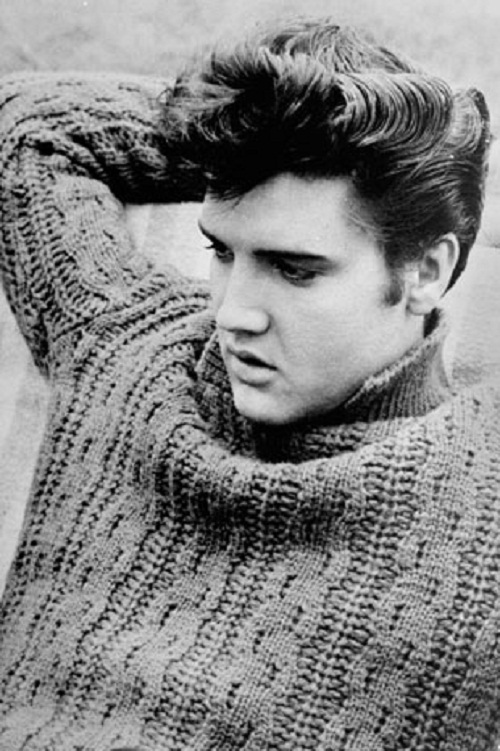 This 2000 year-old Elvis Presley appeared about 1,750 years before the birth of rock’n’roll. Besides, as experts claim, it is part of one of the world’s most stunning private collections of ancient art, which went under the hammer in London. Indeed, the likeness of this human face is so great – the face with its quiff, jaw and nose. For all auction house staff the bust became a real shock. ‘Fans seeing this face of 2000 year-old Elvis Presley will be forgiven for thinking that their idol may well have lived a previous life in Rome,’ said a spokesman for Bonhams, which is auctioning the item in October. Those with suspicious minds may scoff – but this 1,800-year-old relic is the spitting image of Elvis Presley. Complete with quiff and strong jaw, the likeness to the singer in his Las ­Vegas years is uncanny. It has been verified by experts, who say it is a decoration found on the corners of a Roman coffin. 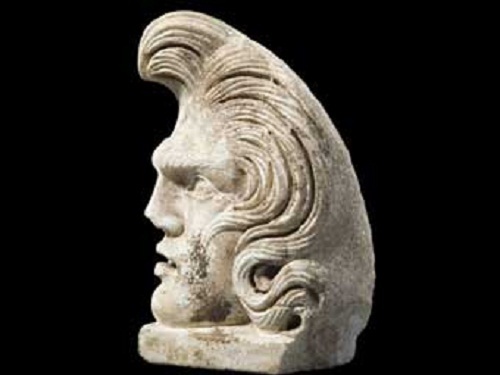 This Elvis probably dates back to about 200 AD – about 1,750 years before the birth of rock’n’roll. But it could even date to 400 BC, experts claim. The bust is an authentic acroter­ion – an ornament often found on the corners of sarcophagi, stone burial chambers where the most important people were laid to rest. It is part of one of the world’s most stunning private collections of ancient art, which will go under the hammer in London. The 150 lots, once owned by Australian collector Graham Geddes, ­include Greek and Roman vases and r­eliefs showing battle scenes. 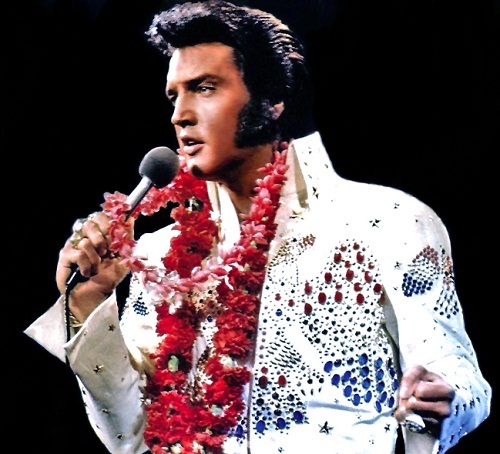 Many of these will go for up to £90,000 each although Elvis is unlikely to make even a fraction of that, unless the resemblance sparks a bidding war between fans. The figure could fetch as much as £25,000 when it is sold. ‘It is perhaps the strangest item in the sale, certainly to modern eyes.